Former first lady of the USA, Michelle Obama turned 55 years old today and President Barrack marked the day with a post dedicated to wish her a happy birthday. 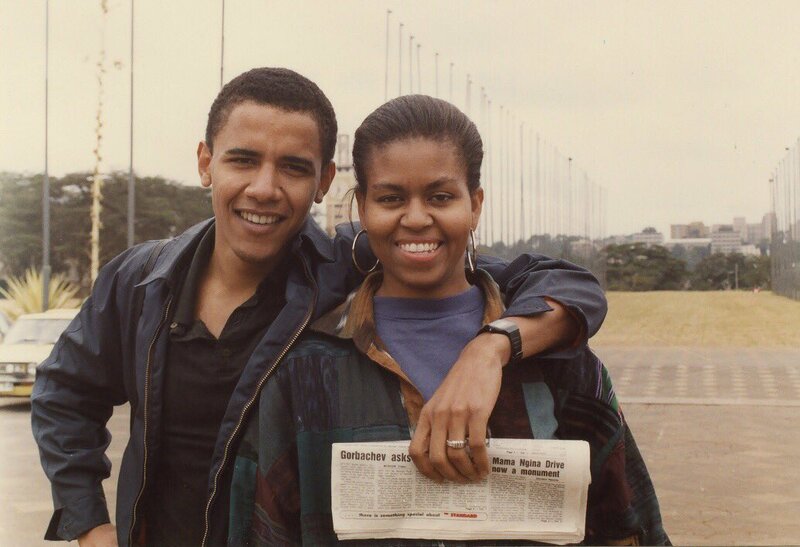 Mr Obama posted a throw back photo from their first visit to Kenya when they had landed in Nairobi, back in 1992, before they got married. “I knew it way back then and I’m absolutely convinced of it today — you’re one of a kind, @MichelleObama. Happy Birthday!” he captioned. The duo have been married for 26 years but have been together for about 30 years now. They have two children, Malia and Sasha Obama. 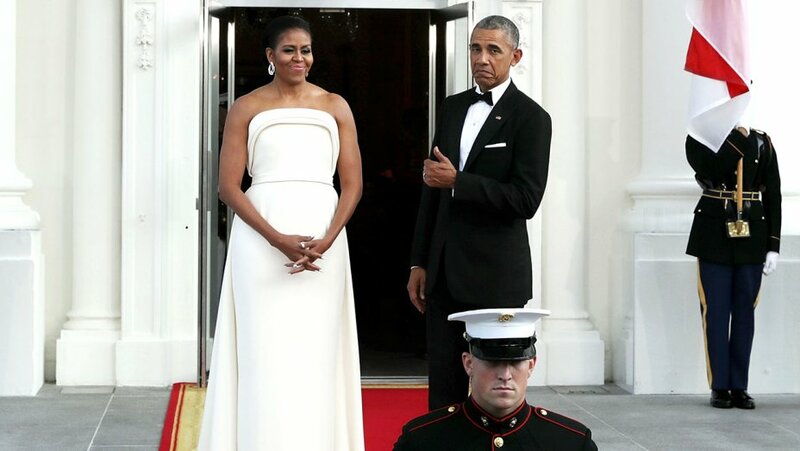 Owing to his roots in Kenya, Barrack brought Michelle to visit his ancestral home just before they got married. In Michelle’s book, Becoming, she describes her arrival as her worst experience ever, compared to what she had anticipated. Her woes begun right from the airport when her sister-in-law to be, Auma Obama came to pick her up. “Auma’s sky-blue VW was so old that it often needed to be pushed in order to get the engine into gear. I’d ill-advisedly bought new white sneakers to wear on the trip, and within a day, after all the pushing we did, they’d turned reddish brown, stained with the cinnamon-hued dust of Nairobi,” she writes. Her narrative later changes as she ended up enjoying her time in Kenya when they traveled to Siaya to visit Barrack’s grandmother, Mama Sarah Obama. Famous artist, Beyonce, who shares a close relationship with the Obamas has also wished her a happy birthday.